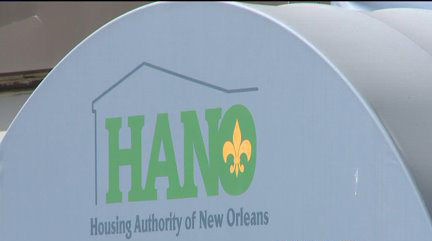 NEW ORLEANS – A former employee of the Housing Authority of New Orleans alleges she was wrongfully terminated after 20 years of employment and multiple promotions. Chequita McGowan filed suit against Housing Authority of New Orleans in the Orleans Parish Civil District Court on Dec. 19, 2013. McGowan asserts that she began her work with HANO in 1989, after earning her bachelor’s degree in business administration and a master’s degree in public administration. McGowan was hired under an oral employment contract based on work performance. Prior to 2010, she was promoted to human resources manager, human resources director, public housing management director and assets management director, without receiving an unsatisfactory evaluation, the suit claims. McGowan claims she emailed her new supervisor, Judith Moran about a HANO contractor development company’s violation of contract and mismanagement of funds in 2010. Moran never responded, so McGowan said she would inform David Gilmore, HANO’s administrative receiver, the suit claims. After that, she claims she suddenly received unsatisfactory evaluations and Moran terminated her oral contract of employment. Gilmore refused to investigate the incident, McGowan claims. McGowan accuses HANO of workplace hostility, character defamation and unconstitutional wrongful termination. McGowan is seeking unspecified damages for lost income and benefits and emotional distress. McGowan is representing herself in the case pro se. The case has been assigned to Division I Chief Judge Piper D. Griffin.